Throughout history, mankind has learned to adapt and overcome in order to make it to the top of the food chain. Our ability to improve tools and methods helps to further our species on a daily basis. Improvements come in many forms and sizes, ranging from cures for illnesses to extension grabbers for picking up trash with ease. Somewhere in the middle falls Howell Pathways and its polyurethane binders. Our soil stabilizers, also labeled as Klingstone Paths, are made to serve as a quality sealant that binds your garden walkways, site pathways, trails, and more. We’re proud to offer our unique pathway stabilizer in Texas, traveling across the country to deliver amazing outcomes for each of our clients. Our polyurethane sealers are made to provide excellent erosion control while retaining a natural look that is compliant with the requirements of the American Disabilities Act. Howell Pathways, originally known as Klingstone, was formed when we were asked to create an ADA-compliant solution for Old Colonial Williamsburg that preserved the natural beauty of their pea gravel walkways while protecting those pathways from degradation and erosion. Our chemists went to the lab to update our existing soil stabilizer, modifying the product to be used for surface applications. The result was a quality pea gravel stabilizer that actually adhered the stones together, allowing the walkways to be both permeable and wheelchair compliant. Klingstone Paths was born from this original success! 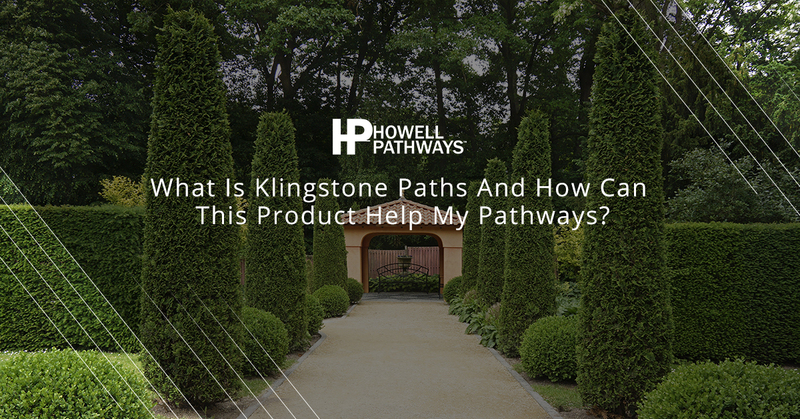 Klingstone Paths Klear and Amber — our patented pathway stabilizers — both provide a versatile set of benefits for our clients. Each product consists of a single component, moisture-cure, solvent-free aliphatic polyurethane binder. Utilizing a synthetic resin with aliphatic urethane is important because this product is UV-resistant and able to remain stable in direct sunlight, helping to increase the longevity and consistency of your Klingstone application. Utilizing this powerful combination of components helps to create a soil stabilizer that is able to adapt and excel in a wide range of applications. This moisture-cure adhesive is intended for use with a wide range of substrates where a binder is needed that holds a considerable amount of viscoelasticity. Klingstone Paths will typically take between five and eight hours to fully cure and will supply consumers with a firm, permeable, cohesive surface. Investing in a sealant for your pathways can provide considerable support in increasing product longevity. Customers who are worried about rainfall creating pools of water next to their foundations or the damages brought on by heavy rainfall can benefit from investing in our gravel stabilizer. When applied properly, your pathway stabilizer will create a consistent surface that offers effective erosion control for different materials. Klingstone Paths can also serve as a driveway sealant for residents who need a long-term solution for their gravel drive, delivering durability and moisture control. 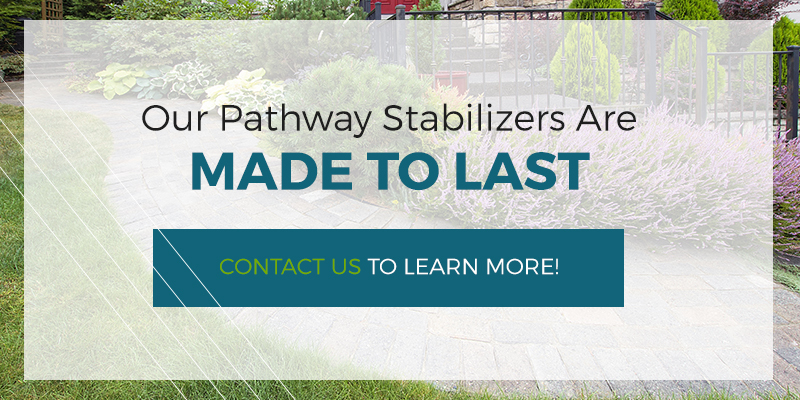 When you invest in Howell Pathways products, you’re sure to benefit from long-term solutions that keep your paths and landscaping protected for years to come. Our soil stabilizers are meant to provide amazing results for years, but the safety and convenience of our products is where Howell Pathways shines. Our polyurethane sealants are meant to be durable, adapting to a variety of situations and providing consistent protection day-in and day-out. If repairs are needed, you won’t have to fret! Simply dig out the problem area, fill back to grade with your choice material, and reapply Klingstone Paths. Many consumers worry about the complicated installation process for many of the products available today, yet our stabilizer is easy to lay down. All you need to apply Klingstone is a watering can and a rake. For bigger projects, we offer tools and equipment to help you get the job done fast. Creating cost-effective outcomes for your project can be a challenge, but Howell Pathways is here to help with a product that is both convenient and eco-friendly. If you struggle to keep the pathways on your residential or commercial property intact, our soil stabilizer may be the perfect answer. Klingstone Paths was founded to create amazing solutions for a wide range of needs, including ADA-compliant pathways and historical sites. We specialize in pathway stabilizers in Texas and can work with you to create quality outcomes nationwide. Contact us today to learn more about our sealants!